PTP Heat Reflective Sleeve Adhesive is designed for ease of installation when component disassembly isn't practical. Just wrap the preformed, split flexible tube around any component and seal the sides with the high temperature adhesive strip to provide protection from hot pipes and engine components. 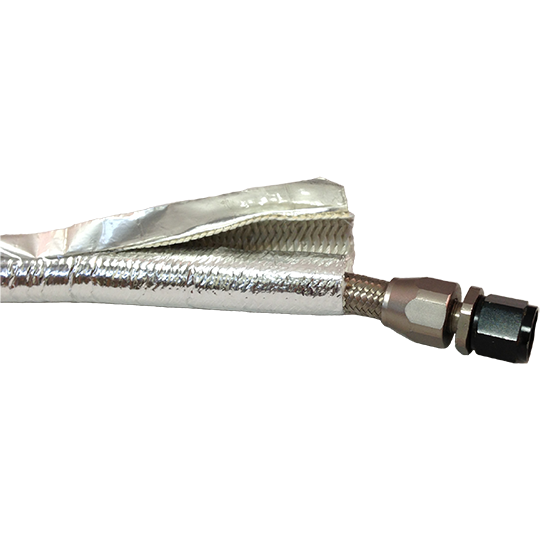 PTP Heat Reflective Sleeve can reduce the heat transmission from hot pipes or engine components into hoses or harnesses by up to 50% or more!